Searching for the right Business VoIP provider can seem like a massive, daunting task at first. With so many options to choose from, so many buzzwords and technical explanations, and confusing marketing from time to time, it can seem like it’s made difficult on purpose. If there’s one thing certain, there are at least a few names in the market that are definite options your business should consider. Both Nextiva and 8×8 rank high on our list of providers, and are generally recommended for their unique combination of a powerful platform, comprehensive support, and cost effective solutions. But of course, with these providers being so similar in many ways, it can be difficult to even break down the major differences of just these two. 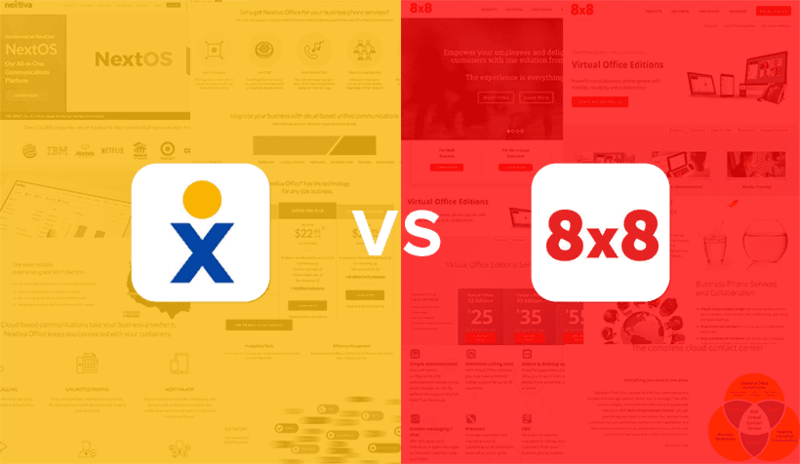 That’s why we’re here to help: we want to take a close look at just exactly what both Nextiva and 8×8 offer to help your business decide which would be the best fit. Before we jump into the real detailed analysis, it’s important to take a step back and lay the foundation for our comparison. It goes without saying that both Nextiva and 8×8 offer Business VoIP solutions, but of course they go beyond just that as well. These providers are both considered to be under the bigger umbrella of Business or Unified Communications, offering a platform that combines multiple methods of collaboration into one seamless experience. Both providers offer similar platforms and solutions, however that doesn’t mean the comparison is apples to apples. While the products are the same, each provider places a different focus on their solution, offering a different take on Cloud Communications. For example, Nextiva is all about offering a complete solution, with everything included under one roof — just look at their innovative NextOS product. 8×8 on the other hand, while still offering a complete package, places a stronger focus on their international calling and contact center functionalities. But to offer a truly in-depth comparison and analysis, we’ll break down a number of sections one by one, mainly focusing on the products offered, and the service that compliments them. The core of both Nextiva and 8×8’s service is their hosted VoIP offering. Their entire platform is built around providing organizations with a complete business telephony solution, with comes packed with impressive enterprise grade features, while still remaining cost effective. Just about every other service that these providers offer is commentary to their core VoIP service, simply expanding the functionality. While pricing and feature distribution is different, both Nextiva and 8×8 break up their basic Hosted VoIP offerings into 3 major tiers. Let’s break them down one by one. While Nextiva’s core service is their Hosted VoIP solution, their entire platform is all about seamlessly integrating a wide array of native tools into one platform, providing an entire Unified Communications platform. Nextiva’s Office solution provides users with a Cloud PBX and advanced call management, unlimited domestic calling, both local and toll free numbers, as well as advanced functionality like unlimited virtual faxing, a conference bridge, team presence and messaging. At the beginning we have the Office plan which provides organizations with an above average VoIP calling service, advanced call management, free phone numbers, a receptionist and call queuing, just to name a few. This already is enough to setup any business with a professional, enterprise grade solution. This is the real bang for your buck offering, with a low cost to entry and impressive feature set. However, we’re not exactly into Unified Communications just yet, but Nextiva’s lower tier plan is easily considered one of the strongest offerings on the market. Even with the basic plan, your solution is backed by 24/7 in-house support. Moving up from the basic Office plan, we have Office Pro, expanding the feature set even further. 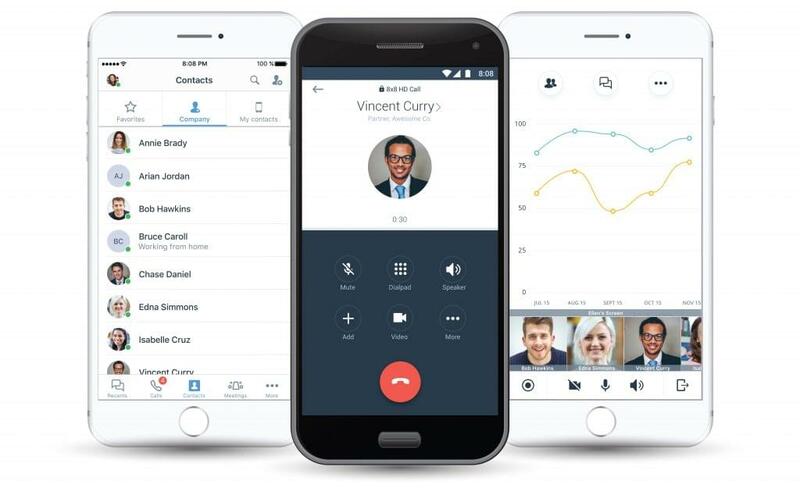 With the Pro Plus plan, your organization now gains a Professionally Recorded greeting, Call Me Now, the Nextiva Mobile app, as well as Team Presence for even more Unified Communications functionality. In fact, Team Presence is one of UC’s most overlooked features that enables your team collaborate even more efficiently. 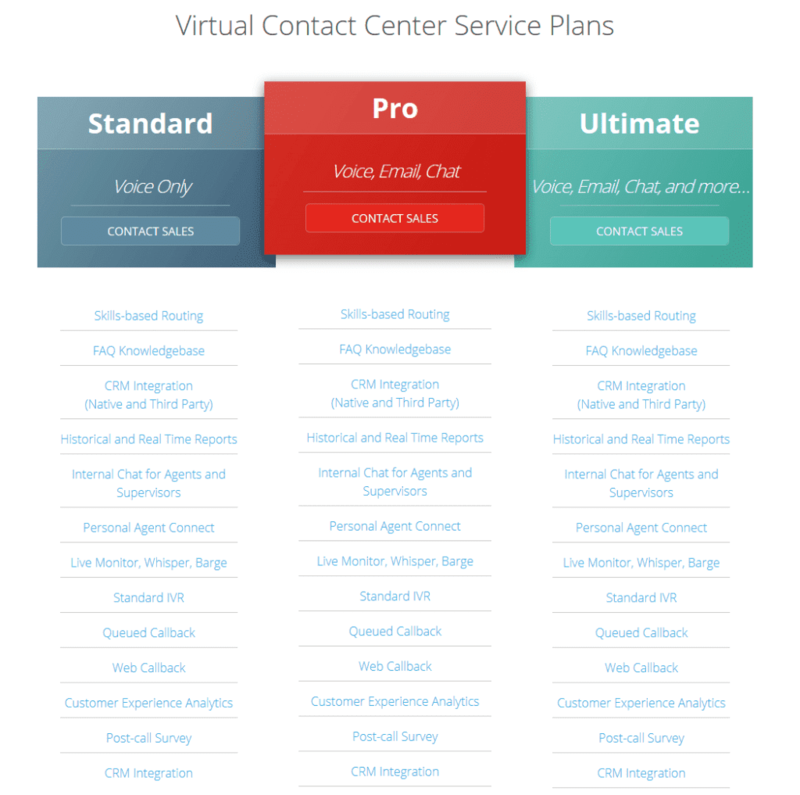 The Pro Plus plan begins to expand beyond Hosted VoIP and build out a more complete platform. The granddaddy of them all is of course the Office Enterprise plan, generally designed for the largest organizations, or those that absolutely require a professional identity. This plan provides your business with not one, but three professionally recorded greetings, as well as Nextiva Anywhere, which allows users to redirect calls to any external phone number so they’re always connected. But most importantly, the Enterprise plan includes Call Recording, an absolute must for any organization that needs to fulfill regulatory compliance, or is looking to improve customer service and experiences. When you boil these two providers down and compare their offerings side by side, you’ll notice that they are of course similar. Just like Nextiva, 8×8 also focuses on integrating multiple forms of communication into one seamless platform, however they place a different focus on their solutions than Nextiva. At the bottom of their offerings the two providers are very similar, but once you move up to their top tier plans, you’ll notice that 8×8 places a stronger focus on their contact center solution, integrating directly with their Business VoIP and UC solutions. Depending on the size of your team and the features necessary, as well as the need for international calling, your business has an option between three different product tiers. 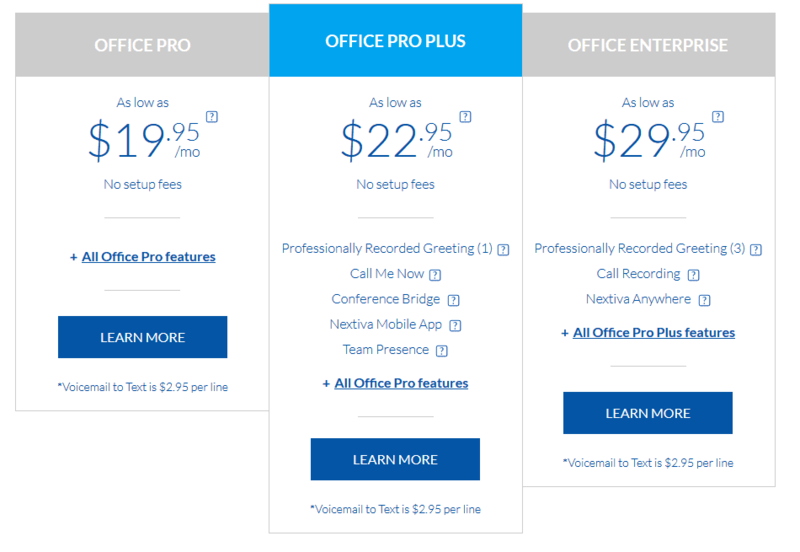 Starting off slightly more expensive than Nextiva, 8×8’s Office X2 Edition has a slight trade off compared to the comparable Office Pro plan. For one, 8×8 includes team presence and messaging right within their entry level plan, but of course that’s because you’re paying slightly more. 8×8 also includes conferencing with up to 5 participants, as well as international calling to 14 different countries — something Nextiva does not offer. However, you’ll notice that Nextiva offers other incentives like unlimited calling, free number porting, free toll free numbers, and powerful features like an auto attendant. Moving up the ladder to the X5 Edition, 8×8 grows their offering to include even more functionality, with unlimited calling to 32 countries instead of just 14, increased media storage, increased conferencing participation limits up to 25 users, and now finally gaining an auto attendant, or “operator switchboard.” Users also gain call recording with the X5 edition, something that is limited to Nextiva’s most expensive offered plan. 8×8 also manages to include integrations with popular CRM solutions like Salesforce, Zendesk and Netsuite. And of course all the way at the top is the X8 edition. This is where 8×8 truly expands their Business VoIP and UC platform to include a complete contact center solution as well. 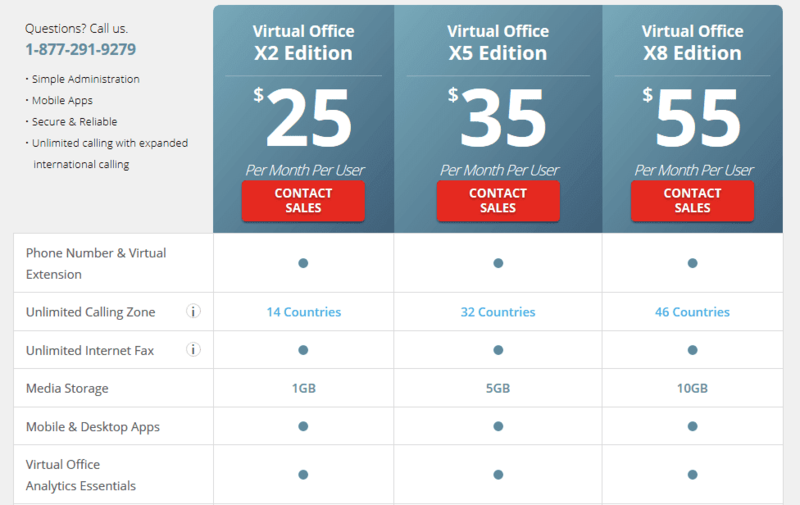 Designed for businesses that need a better way to handle incoming calls for sales, customer service and support, the X8 edition includes 2000 contact center minutes, inbound and outbound contact center functionality, a Visual IVR, as well as both VoIP and contact center reporting and analytics. This is where we begin to notice a bit of a different focus between Nextiva and 8×8. Verdict: Nextiva – When it comes down to a simple bang for your buck comparison, Nextiva manages to offer a complete cloud communications package at a lower price point. Nextiva’s solution includes an impressive feature list, even at their most basic plan, with powerful features like an auto attendant, receptionist, call queueing, and shared call appearance. Moving up the tiers, Nextiva grows their offering with even more features while still remaining more cost effective in the long run. In conjunction with outfitting your business with a complete cloud delivered communications platform, both 8×8 and Nextiva are capable of providing businesses with the tools they need to handle these communications in an effective and efficient manner. With complete Contact Center solutions, businesses are better equipped to receive incoming inquiries from potential sales, as well as existing clients and users, including phone support as well as other channels like texting, social media or email. When comparing Nextiva and 8×8, we of course want to look at the complete picture, and that includes both providers Contact Center solutions as well. 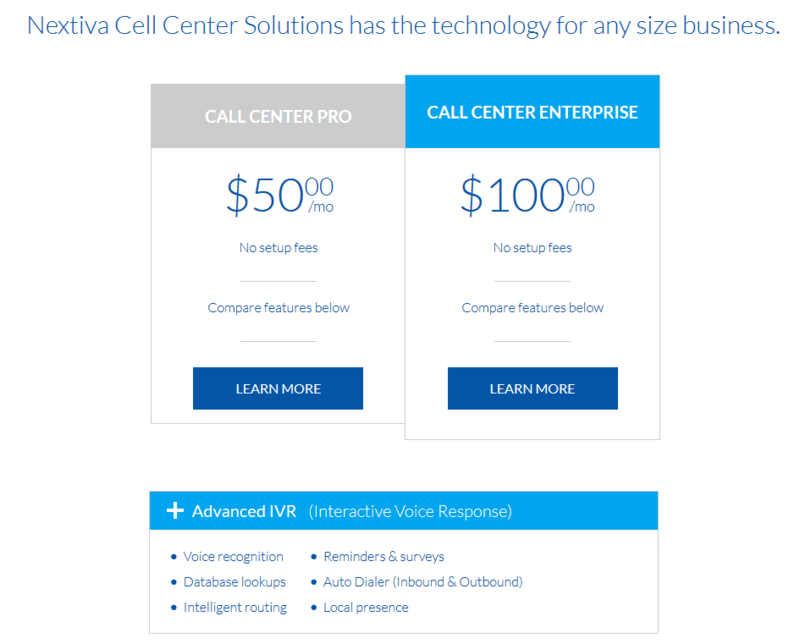 While both offering basic calling functionality, its important to note a clear distinction between the two providers here: while 8×8 offers a full contact center solution with multiple channels in their more expensive plans, Nextiva focuses on offering a complete call center software solution. This means that Nextiva’s service focuses on incoming and outgoing phone calls, while 8×8’s solution opens up to include multiple channels and self-service options. Now, credit where it’s due: Nextiva does a great job in offering a complete call center solution at an affordable cost. For only $50 a month, your business gains some impressive features normally reserved for costly on-premises solutions. 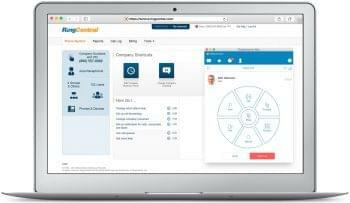 For example, in the basic Call Center Pro offering, Nextiva includes an Advanced IVR system, conditional call routing options, call recording, bounced call service, unlimited call queues estimated wait messaging, real-time agent management and even historical or schedule reports of key metrics. This means your business is outfitted with the necessary tools to manage incoming calls, organize them into queues, route them to the best available agent, record calls for future training, and even utilize key metrics reporting to help improve your operations. Combine this with a Nextiva phone service, and your business already has an impressive solution on their hands, capable of rivaling enterprise grade products. Go one step further and expand to Nextiva’s Call Center Enterprise offering, and now you gain even more bells and whistles. While the core service is included in the Call Center Pro offering, Enterprise includes useful add-ons like night and holiday service, configurable call handling, silent monitor and barge-in for managers, priority queue routing, DNIS support and even outgoing call control. If all your business needs is gain a handle on incoming and potentially outgoing phone calls, then Nextiva’s Call Center solution is an incredibly strong choice for an affordable cost. When you look at 8×8’s Contact Center solution you begin to see a bit of a different picture. Nextiva places their focus directly on calling operations, and does a great job of building out a platform that enables teams to handle just that, very effectively. In their most basic offering, the Standard Contact Center plan, 8×8 manages to rival Nextiva very closely with a Voice Only plan. However, while they are both voice only, the similarities end there. 8×8 includes skills-based routing, an FAQ knowledgebase, historical and real time reports, internal chat for agents, live monitor/whisper/barge-in and even web callback all within their Voice plan. Some of these features are limited to Nextiva’s more expensive plans, like reporting, and some aren’t even offered at all, like the FAQ knowledgebase. What is important to note, however, is that 8×8 only includes a standard IVR in their basic offering, while Nextiva includes an advanced IVR. Once you look further down the market, 8×8 and Nextiva’s services only continue to grow apart. While Nextiva again places a focus on offering calling functionality, 8×8 now expands to include even more channels. 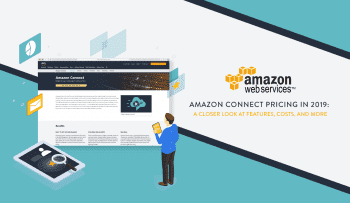 For their Pro offering, businesses now gain access to voice, email and chat service, including all standard features as well as co-browsing, proactive chat, and now an enhanced IVR. 8×8’s final offering expands the platform to include quality management as well as additional wallboards for even more internal organization. Verdict: 8×8 — While Nextiva does offer a complete and total Call Center solution, capable of transforming any business into an inbound or outbound call center, 8×8 simply offers more. 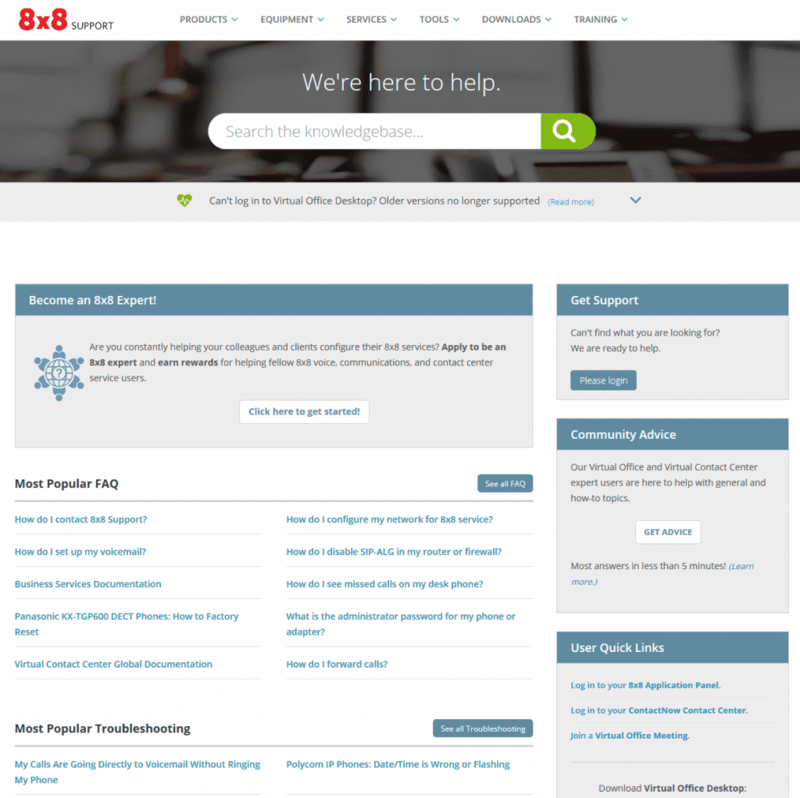 With 8×8, your business can run a complete omnichannel contact center experience, with voice, SMS, and email as well as useful self-service tools like an FAQ knowledgebase. What is worth noting is that 8×8 requires quotes for all their contact center solutions, while Nextiva’s solutions are offered with a simple, clear cut pricing scheme. If your business is relying on VoIP and UC solutions to serve as the backbone for their communications, then mobility is a major aspect that comes along with the service. With Business VoIP solutions, workers are able to stay connected no matter where they are, as long as they have a laptop, tablet or even smart phone. With powerful mobile apps, users are able to access just about all of their UC functionality right from the palm of their hand. But as anyone with a smartphone knows, not all apps are made equal. A critical aspect of any app is the design and overall User Experience. If an app is difficult to use, unintuitive, or clunky and confusing, no one will want to use it. Simple as that. When it comes to business communications, you absolutely want the simplest experience possible — that’s part of the point of UC. 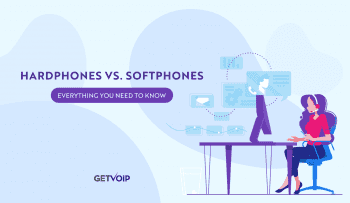 So, when it comes to Business VoIP providers, it’s important to take a look at their mobile app as you will most likely be relying on this platform as your link to the outside world. Now, we aren’t going to go hands on and get into the nitty gritty with these apps, but instead I want to take a good overview look at what they offer, and how they’re put together. Right off the bat its worth mentioning that Nextiva’s app is very highly regarded with a 4.5 star rating on Apple’s App store, even with 137 ratings. Even on the Google Play store for the Android app, Nextiva managed to swing a 3.5 out of 5 stars, which is still a fairly strong rating. Overall, you’ll notice that reviews of the app are positive, praising a solid user experience with an intuitive design, and strong functionality. Many compare the overall experience of the app to the experience of using Nextiva’s solutions in general: simplicity and ease of use. Just looking at the design, Nextiva’s app is clearly focused and to the point. You are given a quick menu on the bottom of the screen, with the option to flip between Contacts, Call, Chat, History and My Rooms for collaboration. Without any fuss, everything is laid out clean and simple with easy to read labels and easily identified icons. The app follows this same overall design with clearly labeled sections, like the option menu to change your status, or even the settings and preferences screen. Overall, Nextiva’s mobile app is about putting the functionality right at your fingertips. Users can of course place calls, initiate or continue 1 to 1 or even group messages, collaborate in rooms, view contacts, and even start conference calls. Callkit integration with iOS devices also makes it easy to manage all your calls from just one phone. Just like Nextiva, 8×8’s app is focused on providing users with the same functionality they would expect from a desktop app, or even a desk phone, but right inside their smart phone. The design of the app is just as focused as Nextiva’s, with a clear bottom menu, and easy to read labels and icons for the different sections: Chat, Calls, Contacts, Conferencing. What’s a bit more unique about 8×8’s app is how it allows for users to engage in online meetings, and even video conferencing with other users. The app also allows for the same call controls as Nextiva, with call forwarding, parking, transferring and holding, as well as the ability to hold conference calls. One thing that 8×8 does have over Nextiva is voicemail access. 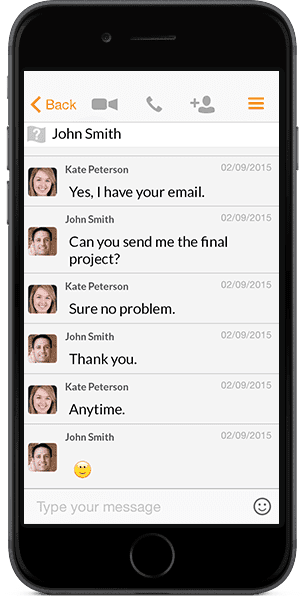 8×8 offers a visual voicemail list, enabling users to organize and manage their voicemails. According to Nextiva reviews, Nextiva has a more traditional voicemail experience that requires dialing. However, despite these extra features, it is important to recognize that 8×8’s app only has 3.5 stars with only 87 ratings. Now 3.5s in itself is not a bad rating, like I said for Nextiva’s Google Play store rating. However, 8×8’s app also has less reviews, and those that are left are mostly negative. Overall, the experience users seem to have with 8×8’s mobile app is not on par with that of Nextiva’s users. Users also seem to complain quite a bit about 8×8’s Callkit integration with iPhones, which allows the app to utilize the iPhone’s native dialer. The downside is that this puts both your personal and business calls into the same call history, making it difficult to stay organized. Unfortunately, 8×8 does not allow users to turn off this functionality. Verdict: Nextiva – Nextiva does a great job of continuing their ethos of simplicity and ease of use, and translating that powerful functionality into the simplicity of a mobile phone app. While Nextiva’s app might have a few less bells and whistles, the overall experience is one that enables users to get more done with less effort. Now, I want to switch gears slightly and shine the lens of this comparison on a different focus. In the cloud communications industry, it’s not enough to stay static with an existing solution: companies are constantly competing to be the number one provider. One way that these providers compete is through a constant battle of innovation. In fact, Nextiva has become synonymous with the idea of innovation within the Business communications market, known for churning out compelling platforms and solutions. But, that’s not to say 8×8 isn’t full of innovation as well. In fact, both of these providers continue to push out an impressive set of products, offerings, and features that continues to grow year after year. That’s why I wanted to step back and take a look at how both of these providers are innovating, to compare their overall vision, and capability to deliver on that vision, of unified communications. As I already said, Nextiva has come to be known for their constant innovation within the business communications industry. Most recently, the provider has placed lot of focus has been put on the idea of seamless integration, a theme you’ve probably seen throughout this comparison. The culmination of this concept of integration has introduced the world to NextOS, what is potentially the future for cloud communications. NextOS isn’t really something we’ve seen before in Unified Communications. Essentially, the idea is that NextOS will work as one giant platform which enables organizations to manage users, features, billing, internal and external communications. This is more than just providing a “platform,” instead its providing an operating system for which your business will be built upon. So in the end, Nextiva is looking to do more than just create an app with multiple features: they are establishing an entire operating system that will stand as the foundations for business communications, and providing organizations with the tools necessary to provide the insights necessary to optimize efficiency in any way possible. Now, Nextiva isn’t the only provider known for consolidating multiple solutions into one platform: that’s a bit of an industry standard at this point. In fact, 8×8 has done something similar as well with the introduction of their X Series solutions back in March of this year. Following the rest of the industry, 8×8 has combined together multiple channels of communication into one application. The idea is about providing one end-user experience for phone, meetings and collaboration. We can actually see the fruition of 8×8’s Series X with their Business VoIP calling solutions. 8×8 includes presence and messaging in their entry level plan, and even includes full contact center functionality within their highest tier plan. But of course Series X is more than just including extra features: it’s a platform that integrates these features together into one single experience. Context-Rich Engagements: 8×8 X Series arms contact center agents and employees with complete context before they start a conversation. X Series has native CRM built-in and also integrates with third-party solutions like Google G-Suite, Salesforce, Zendesk and NetSuite to provide rich contextual insights such as previous engagements and preferences. Collaborative Contact Center: X Series allows businesses to harness the collective insights of the organization through real-time collaboration with peers and instant access to subject matter experts. Companies can significantly increase performance by empowering their employees to move from chat to voice to video to web conferencing with one click. Advanced Customer Journey Analytics: Instead of piecing together data from multiple systems, X Series provides the enterprise with a view of the customer journey from the moment they reach the contact center through to issue resolution. 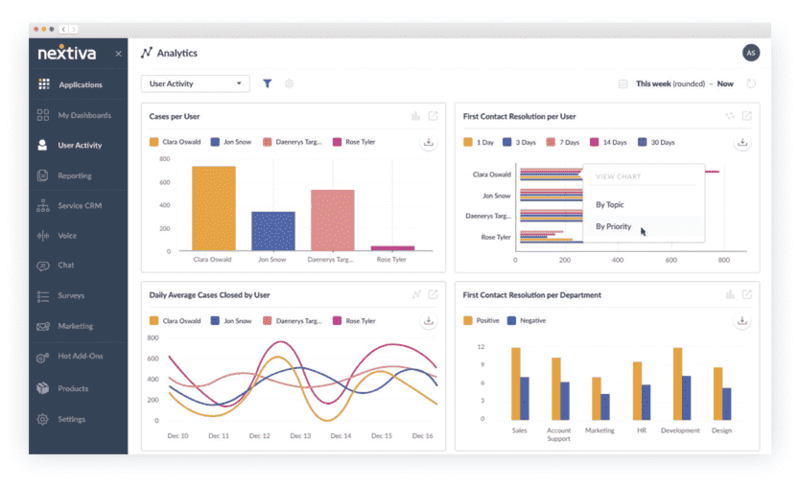 In addition, X Series offers advanced analytics based on a single data-set for all employee and customer interactions that enable the enterprise to continuously improve the customer experience. So, like Nextiva, 8×8 has introduced a solution that focuses on combining multiple functionalities, and breaking down the walls that have previously separated these different solutions. 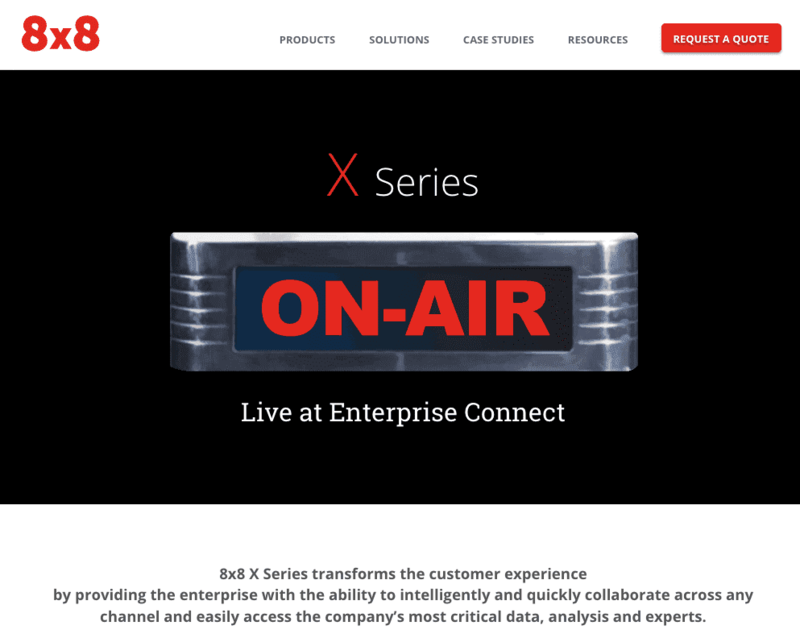 In their announcement of Series X, 8×8 had stated that 72% of businesses agree that improving the customer experience is a top priority, and that’s exactly what 8×8 has set out to provide with their Series X platform. Verdict: Nextiva – Now to be fair, both providers are clearly innovating their platforms, and even their industries by providing end users with entirely new communication experiences. However, what’s important to note here is the level of innovation. While 8×8 and Nextiva are essentially setting out to accomplish the same thing, Nextiva seems to have a stronger focus on providing something fresh and new. 8×8’s Series X line is a step in the right direction, but it’s very similar to what competitors are already doing. However, looking at NextOS, Nextiva has managed to break into a new paradigm not yet captured by competitors: not just an app, but an entire operating system. Any business is correct in hoping they will never have to rely on support for their UC or VoIP service. Yet we don’t live in a perfect world, and even the most reliable network can experience hiccups or full out downtime. The benefit of business VoIP is that your organization does not have to handle the heavy lifting of the service, the provider does that. However, when things do go wrong, it’s out of your hands. Emergencies occur, phone systems go down, and emails fail to send – so when the worst case scenario unfolds, any business would also be correct in hoping they have the proper support from their provider to fix the issue as soon as possible. That’s why it is imperative that your organization utilizes a provider that makes it as easy as possible to contact and receive support when something does go wrong. So, when comparing support options of different providers we like to look to see what options they make available, from different channels to hours that support is open, to self-service options. When it comes it customer service and product support, it’s pretty difficult to come close to Nextiva. In fact, Nextiva has pretty much come to be known for two things: their innovation, and their support. In fact, Nextiva has won awards from their customer service, and continues to provide some of the greatest care in the industry. So, of course Nextiva offers all the basic channels you would expect, with 24/7 phone support, email, online ticket submission, and even web chat. In just our testing from 2016, Nextiva managed to keep customers on hold for only 9 seconds, the shortest wait time out of the nine we looked at. 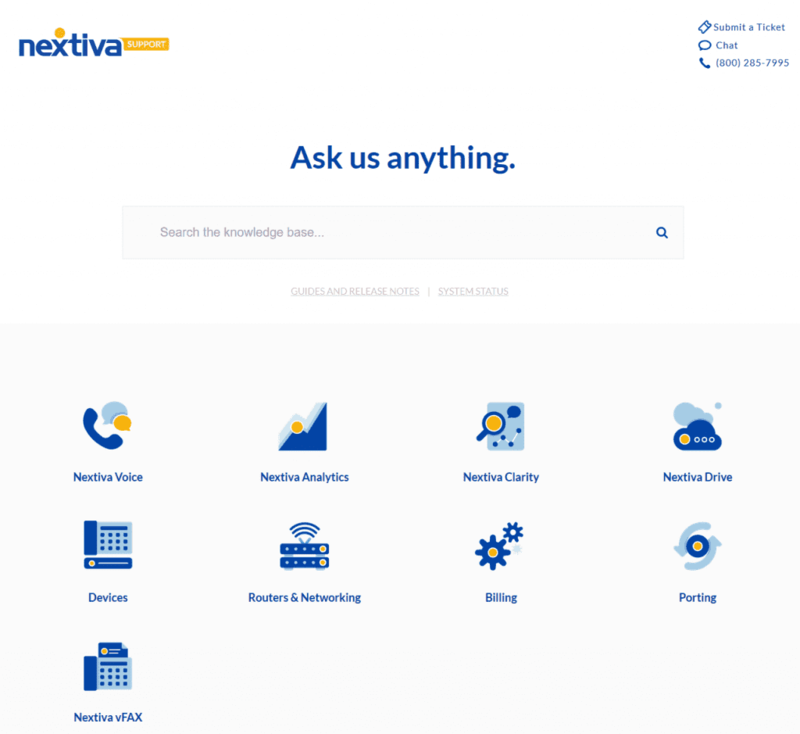 Beyond offering great service over the phone or online, Nextiva also equips its users with the tools to help themselves, with a useful FAQ section, video tutorials, as well as compete e-guides. The provider also does a great job of organizing this knowledgebase for their users, with a clean, easy to navigate layout and focused sections. Overall, Nextiva manages to go above and beyond with their in-house support working around the clock to ensure that users experience as little interruptions and issues with their service as possible. Now, Nextiva is most definitely a tough act to follow. But, 8×8 is a pretty close contender, even when it comes to support. Right off the bat you’ll notice that 8×8 offers the same channels as Nextiva, with 24/7 phone support, web chat, and online ticket submission. It does seem that 8×8 does not offer email support, so that’s one less channel than Nextiva — although we’re not entirely sure email is a very popular choice anyway. Unfortunately, in our hold time testing, 8×8 did not score as well as Nextiva; with an average wait time of 59 seconds. Although, it is worth mentioning that this wait time did rank them number four on our list out of nine total contenders, so still not too bad at all. Like Nextiva, 8×8’s phone support is also totally staffed in-house and not outsourced like many other competitors. Just like Nextiva, 8×8 also offers users with a wide knowledge base of resources to solve issues on their own, without contacting support. This includes FAQ sections, video tutorials, and e-guides, just like Nextiva. I will mention that 8×8’s knowledgebase itself is slightly lacking in the user experience and design department, taking on a more traditional web layout when compared to Nextiva’s visual format. However, at the end of the day, 8×8 manages to hold their own when compared to Nextiva, although not totally beating them out. Verdict: Nextiva — Nextiva is simply known for their award winning support, and it shows even during our own hold time tests. Nextiva also manages to provide its users with an incredibly easy to navigate knowledgebase, containing loads of trouble shooting and tutorials. 8×8 definitely comes close, but Nextiva’s support is just that much of an example for the rest of the industry. Depending on the scope and reach of your business, service availability can directly dictate which provider your organization will utilize. While some providers place their focus on the country they are located in, others have expanded their network availability overseas into multiple countries. This is actually a direct distinction between Nextiva, who is focused in the U.S., and 8×8, who has expanded coverage into Europe, the Middle East, Asia, and the Pacific. What’s important to note here is that we are not discussing the ability to dial in and out of other countries, but rather the availability of phone numbers within those countries. Nextiva’s service is perfectly capable of receiving calls from and making calls to other countries, however their service is focused on providing U.S. based businesses with a U.S. phone number, and U.S. based service. On the other hand, 8×8 is an international service provider, and is capable of offering phone numbers and business communication services to businesses located all around the world. Now, what’s important to recognize is that 8×8 limits the number of countries you can call, within your unlimited usage, depending on the plan you subscribe to. Outside of that list and you will be charged on a per minute, per country basis. Verdict: 8×8 – Unfortunately for Nextiva, they simply do not have the offerings to compete with 8×8 around the globe. If your business is located within the U.S., then either is still a solid choice. But, if your business has a strong international presence, then this comparison would come down to 8×8. Now like I said, one would hope that their service never experiences an interruption or hiccup. But, we don’t live in a perfect world, and interruptions can happen. Besides simply relying on a service provider with great customer service, search for one that does their best to ensure issues don’t occur, with a solid and reliable network. Since your service provider is keeping your business in contact with the rest of the world, it’s imperative that the provider you choose has a stable, redundant network. Without that, it doesn’t matter how much you are saving, or how friendly the customer service is, if your service never works. While the number at first seems to tip directly into 8×8’s favor, it’s a bit more of a toss-up than that. For example, 8×8 has more data centers simply because they have a global reach, which requires them to have data centers in multiple continents. Nextiva, on the other hand, focuses their service on North America, and is able to consolidate their data centers to just one continent. This allows Nextiva to utilize less data centers, yet still ensure even more redundancy around the country. Nextiva has data multiple data centers within multiple regions of the United States, meanwhile 8×8’s network is spread a bit more thinly around the world. But beyond just data centers, it’s also important to take a look at the provider’s up-time guarantee. This essentially states that Nextiva or 8×8 guarantees that service will remain functional for at least 99.99% or 99.999%, of the time, respectively. But since this alone isn’t a sure thing, you want to also ensure that your provider will engage in a Service Level Agreement to ensure you are made whole if there are any major issues — thankfully both Nextiva and 8×8 will engage in an SLA. And, if that’s not enough, you will also want to look for a provider that offers a real-time system status monitoring page. This enables users to take a look at the current status of all data centers and services offered by the provider. If there are any widespread issues or outages, they’ll be reported here, allowing users to discern if the issue is isolated to them, or if the service itself is having problems. Unfortunately for 8×8, it does not seem as if they offer one of these pages, or if they do they do not make it public. Verdict: Nextiva – Sure 8×8 has more data centers, but Nextiva is able to ensure greater redundancy with service only extending across a smaller area. Nextiva also provides a greater uptime guarantee, and offers a real-time system status monitoring page. Both Nextiva and 8×8 provide businesses with incredibly powerful VoIP and Unified Communications platforms, with a robust and reliable network, as well as solid customer service, behind them. However, depending on the specific requirements of your company, it can be difficult to recommend one provider for every situation. Instead, it makes a bit more sense to look at organization on a case by case business. The same, of course, can be said for Nextiva and 8×8. There is a clear distinction that can be made between these two providers: Nextiva offers a complete, seamless, easy to use UC package with industry leading support, focused directly within North America. 8×8 on the other hand offers a complete UC package with a strong international presence. We try to do our best to make a surface level, apples to apples comparison. But, at the end of the day, deciding between one of these providers will fall back on a number of factors that your business needs to recognize, identify and prioritize. However, there are some key factors that will be universal and could lead your business in one direction as opposed to the other. Your business is looking to keep costs down. Nextiva offers a complete Business VoIP and UC package for a lower cost than 8×8. Overall, Nextiva generally reflects a better value option, offering more for less money. Your business is looking to stay with one closed ecosystem, as there are many benefits to this approach. Nextiva’s unique offerings like NextOS, and Nextiva’s Office solution. Your business prioritizes support and service over just features and pricing. Nextiva hands down offers some of the best customer service and support in the industry. With a completely in-house, U.S. based support team, as well as abundant online resources, network status indicators, and knowledge base, Nextiva almost cannot be matched. Your business is looking to get the most features possible, like IM and presence as well as audio and video conferencing included within the most basic offering, and a complete contact center included in the most advanced Business VoIP offering. Your business has an international presence and therefore requires international numbers, or at least international calling capability. 8×8 simply blows Nextiva out of the water here by offering support in up to 34 countries. Your business is looking for a complete contact center solution that supports multiple channels. 8×8 not only includes their contact center solution within their most advanced VoIP plan, but also provides a complete omnichannel contact center experience.